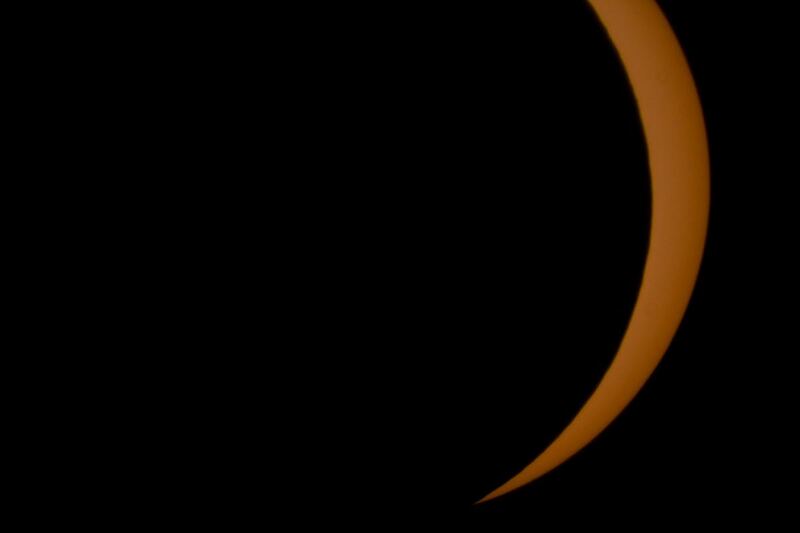 Here are some of the photos I took today of the solar eclipse; since I stayed home in Provo I was only able to record a 90% coverage of the sun. 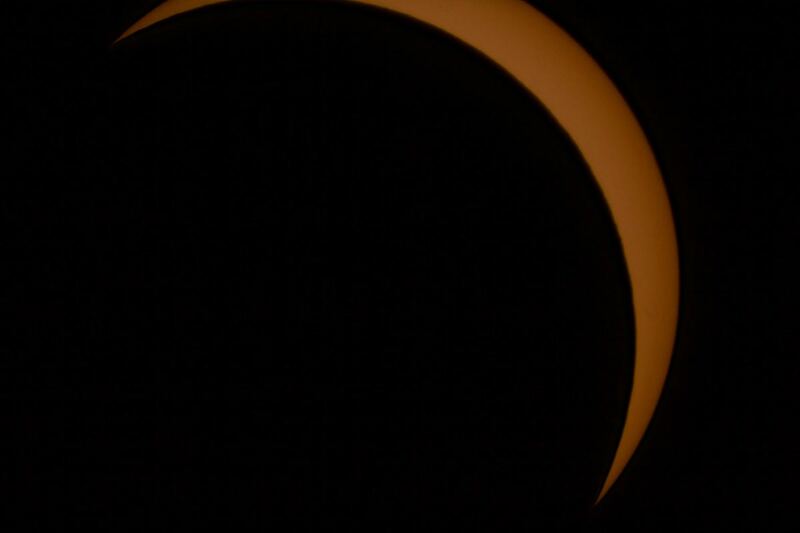 Still it was very cool. 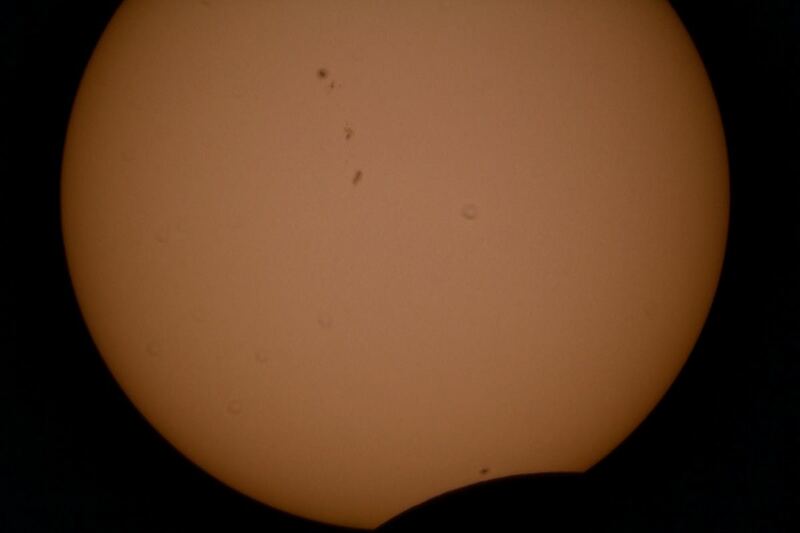 When the sun was 90% covered the temperature had dropped about 15 degrees and it was really pleasant outside. 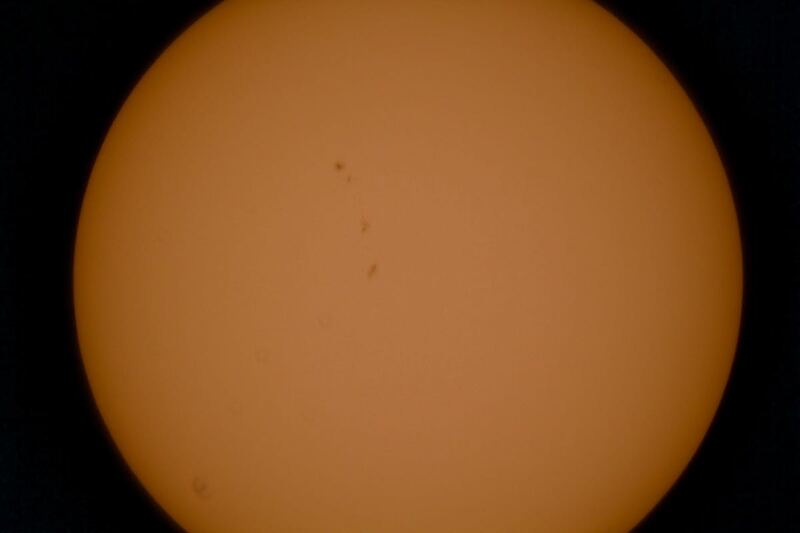 The photos were taken with my Celestron 11 inch Schmidt Cassigrain telescope with a focal reducer attached. 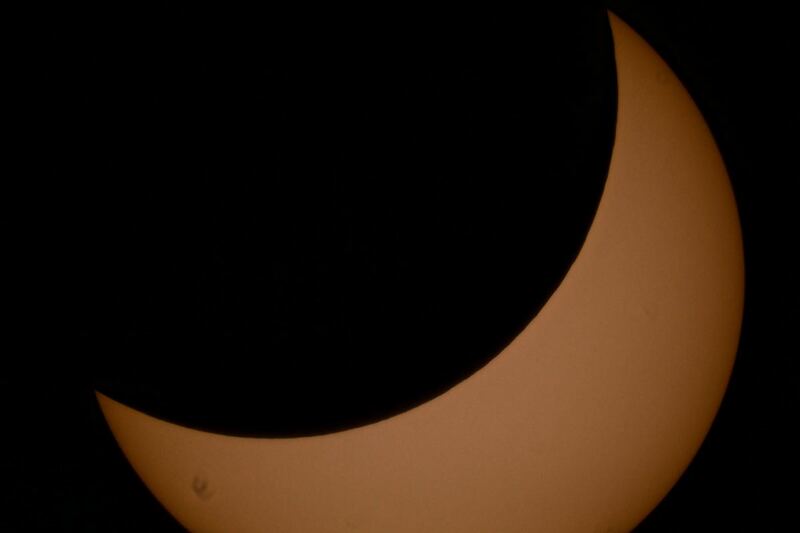 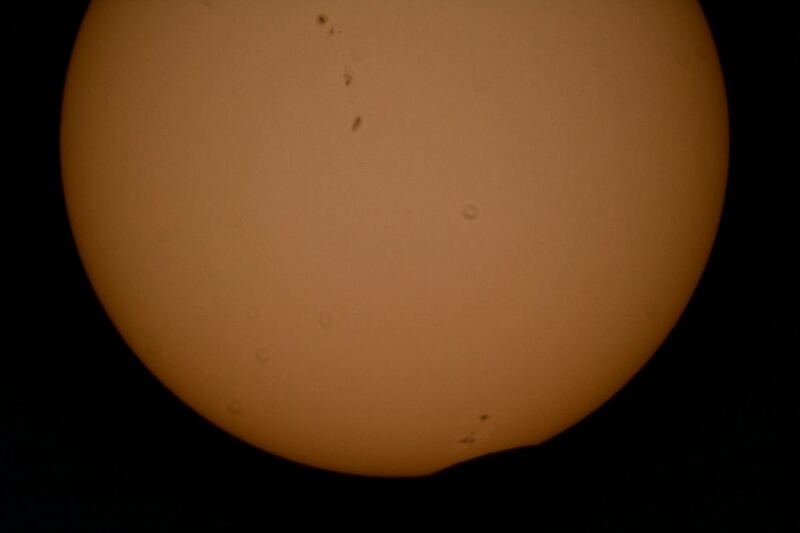 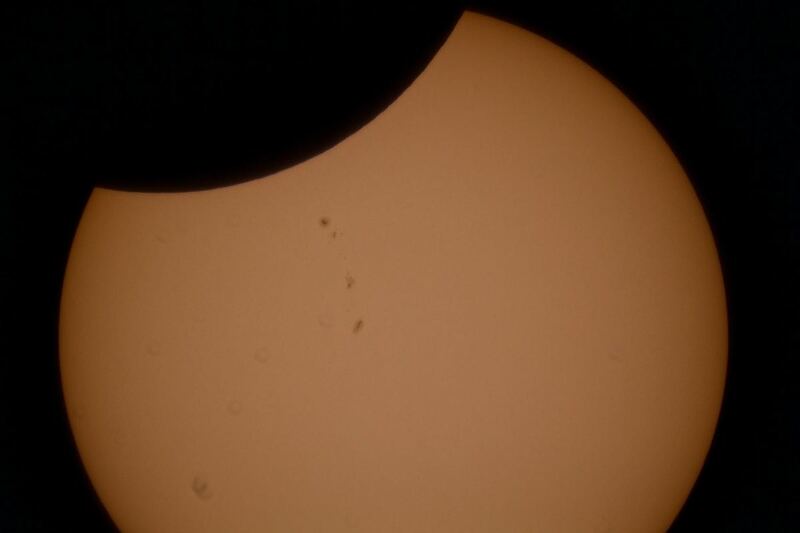 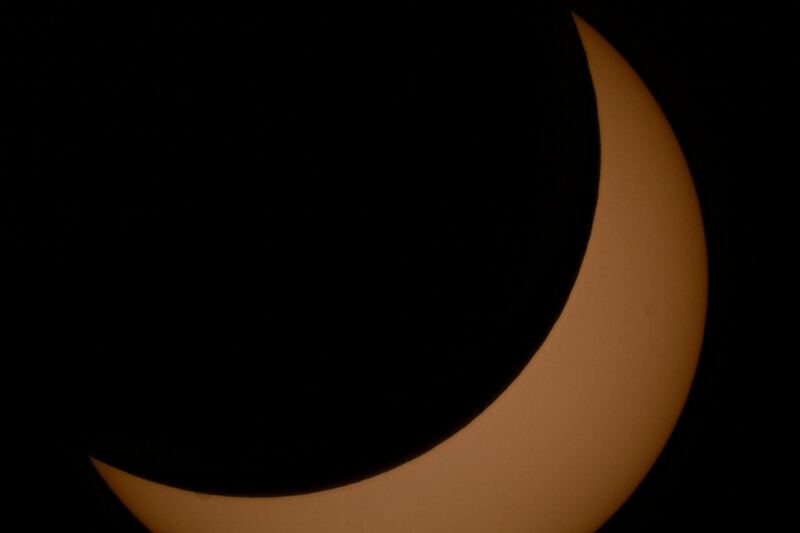 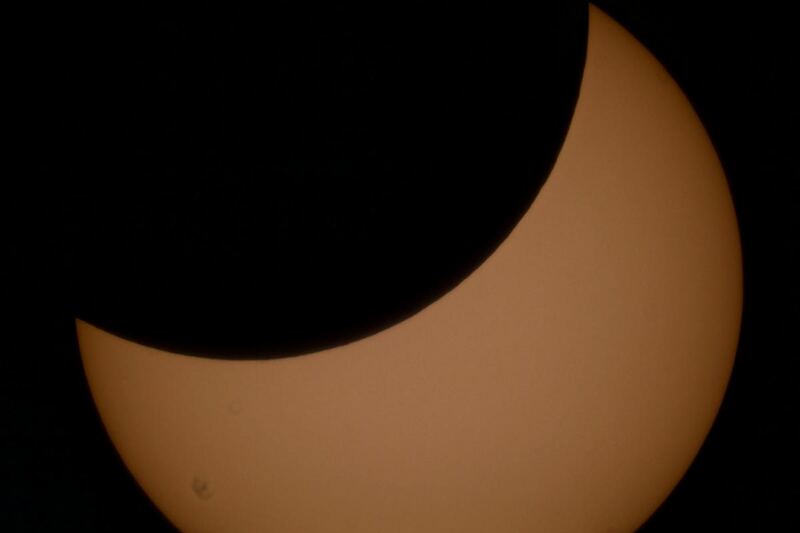 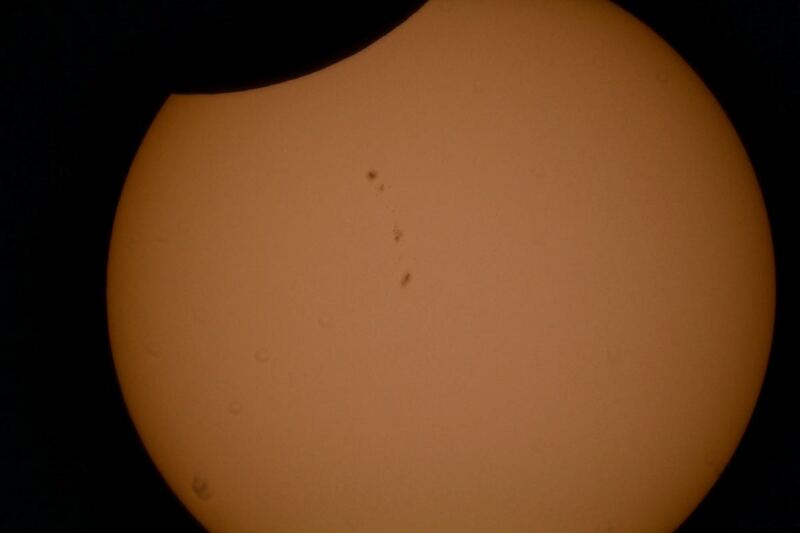 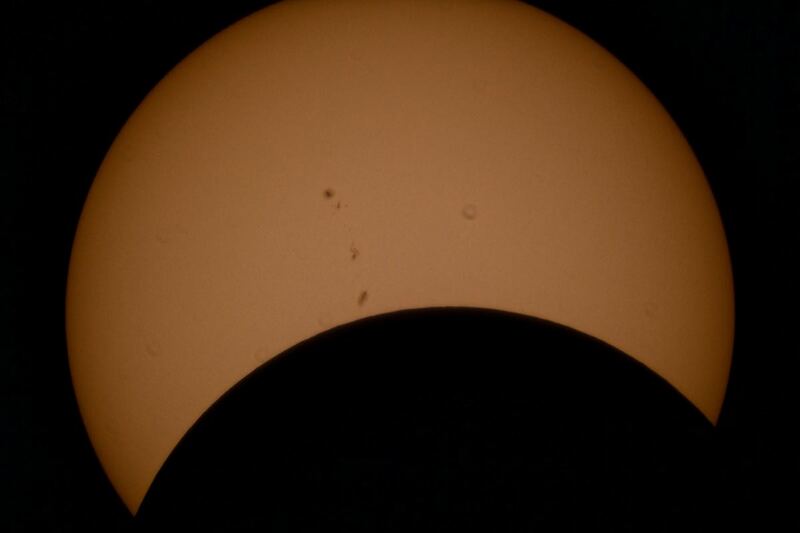 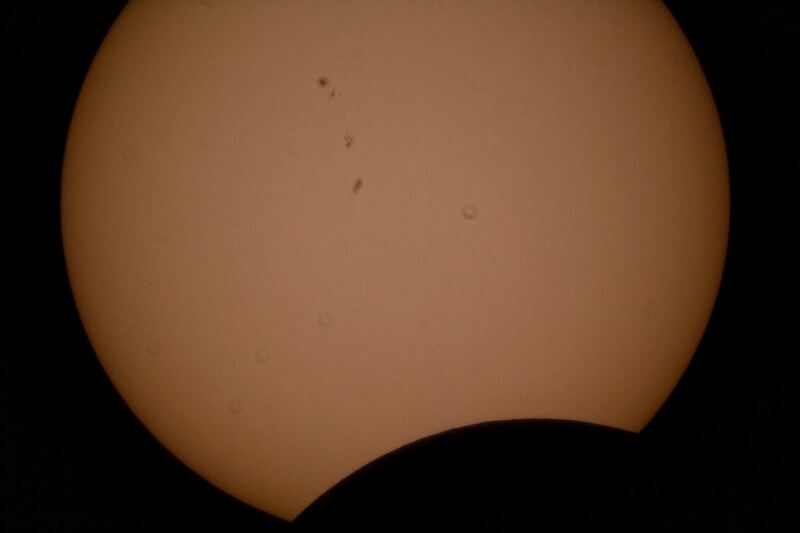 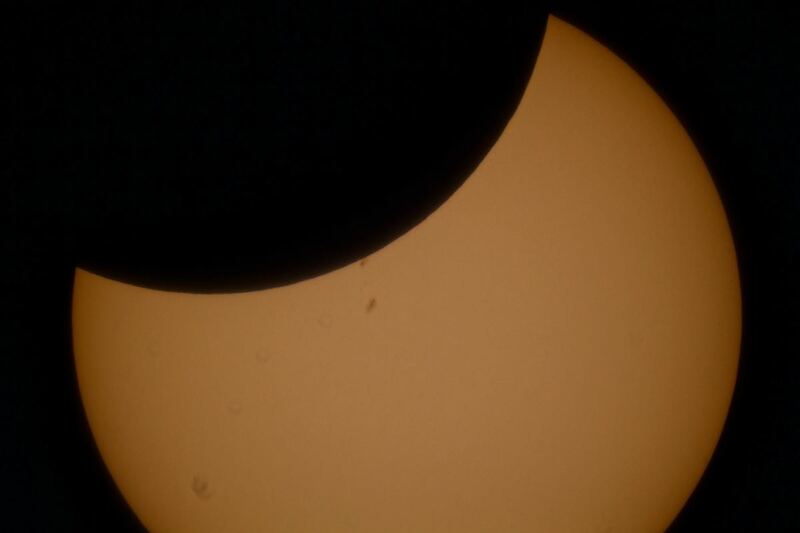 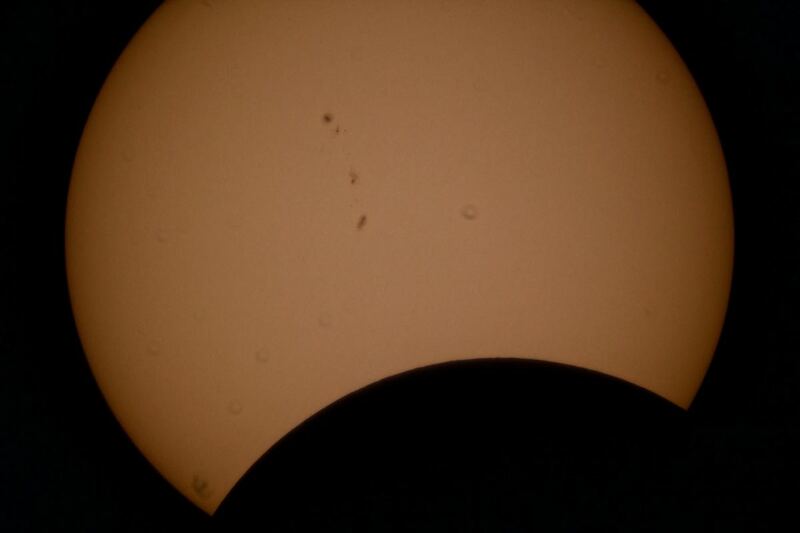 The focal reducer caused the images to be clipped – that's why I wasn't able to record full pictures of the Sun. 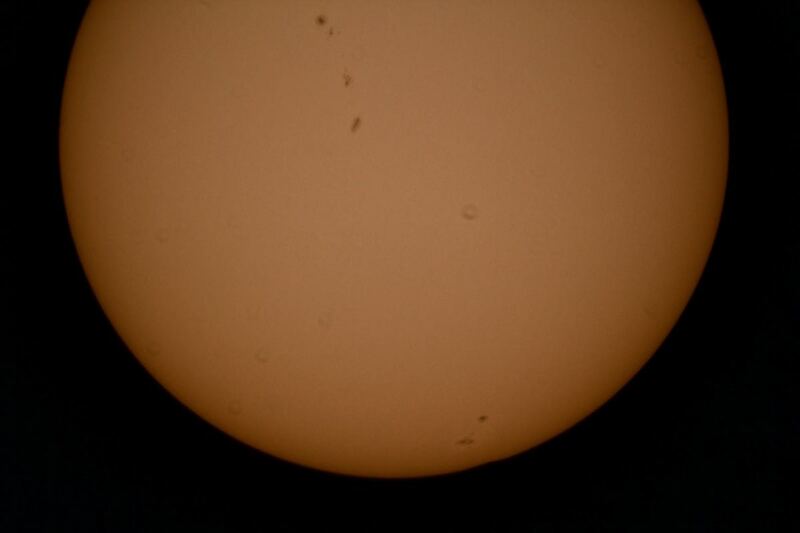 The camera I used was a Canon 60Da camera modified for astrophotography. 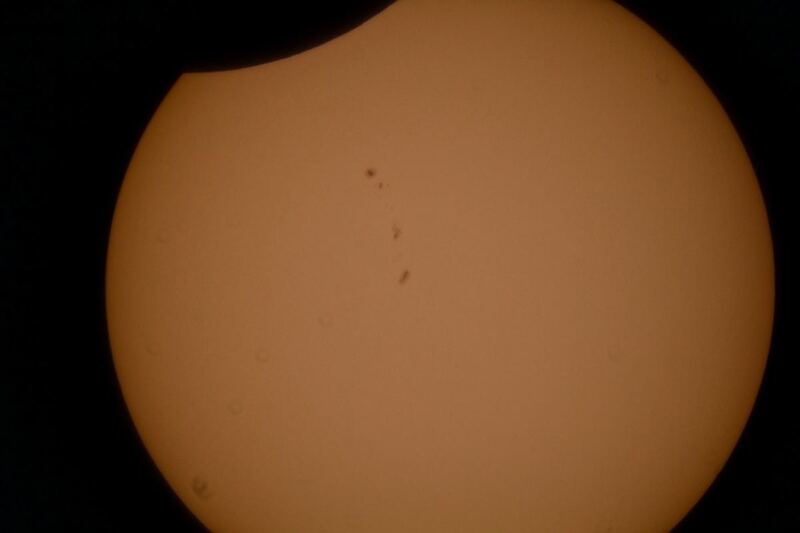 The pictures were taken at an ISO of 200, exposure of 1/200 second. 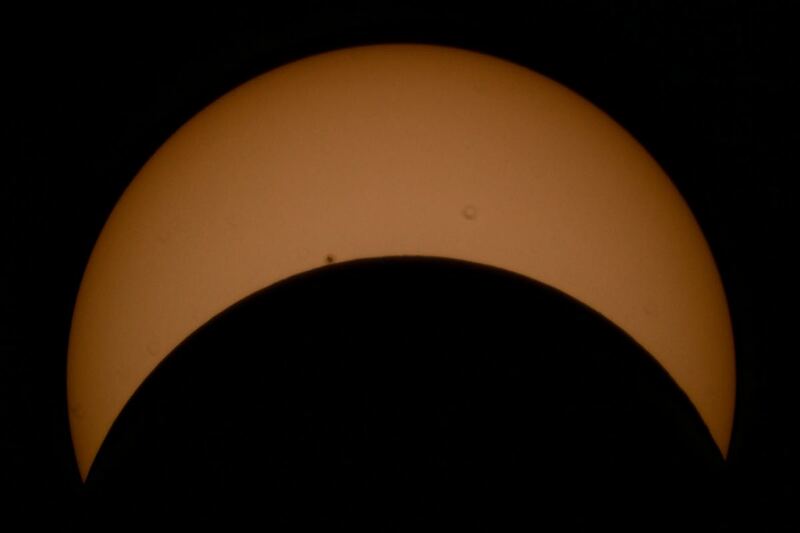 I didn't order a sun filter ahead of time for the telescope, so I made one using 2 layers of a space blanket which worked ok. 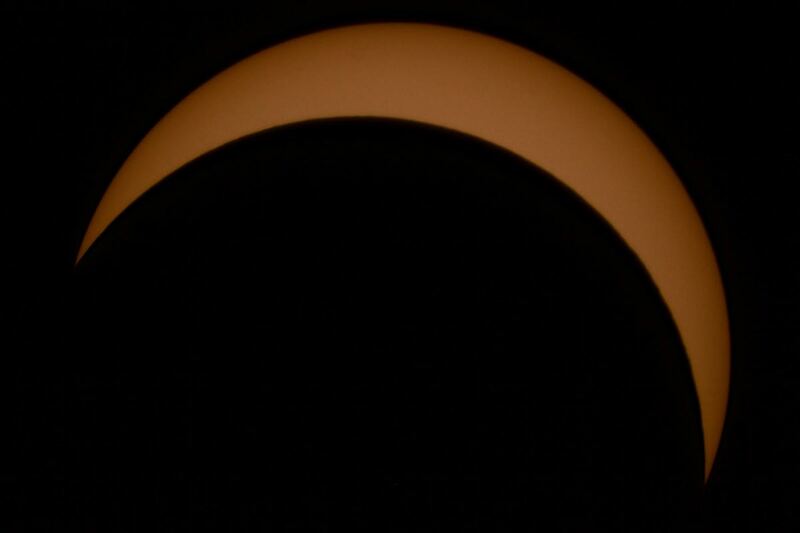 It may have caused some degradation of picture sharpness however.